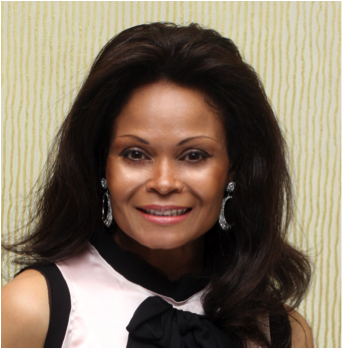 The Act-1 Group of Companies, a global business and human resources partner for Fortune 500 companies, is proud to announce that Mrs. Janice Bryant Howroyd, Founder and CEO, was inducted into the National Black College Alumni (NBCA) Hall of Fame Saturday night at the Legacy of Leaders awards luncheon held during the 30th Annual Alumni Hall of Fame weekend. Other honorees at the event included the Honorable David Dinkins, Dr. Robert Franklin, Reverend Otis Moss Jr., and Brigadier General Ciara Adams-Ender, among others. The National Black College Alumni Hall of Fame Foundation is dedicated to the growth and development of historically black colleges and universities (HBCUs) through programs that encourage education advancement and humanitarian involvement. Their efforts mirror Mrs. Bryant Howroyd’s commitment to support education and those who strive to transform their potential into achievement. In 1978, Mrs. Bryant Howroyd began Act-1 with a single desk and phone line in Beverly Hills, California. Since then, the company has grown into a multi-billion dollar enterprise with over 17,000 clients and 2,600 employees across 19 countries. A strong advocate for innovation, Mrs. Bryant Howroyd has mastered the art of blending technology, education and entrepreneurship with service. A sought-after speaker, lecturer and writer, she offers practical, motivating solutions that are rooted in her passion for mentoring and helping others. This passion is translated into everything that she does and forms the backbone of The Act-1 Group of Companies’ success. Earlier this year, Mrs. Bryant Howroyd was ranked on Forbes’s 2015 list of America’s Richest Self-Made Women, and highlighted for her professional accomplishments on NBC’s TODAY Show as part of their “Summer of Secrets: Successful Women” series. During the interview with Jenna Bush Hager, Mrs. Bryant Howroyd discussed the business principles that contributed to her noteworthy accomplishment of becoming the first African-American woman to own a billion-dollar business. Incredible honor to an incredible business woman.